Those wishing to stay close to workshop events may want to register for on-campus housing. This $300 fee (double occupancy) includes six nights in a UMKC dormitory room. Rooms in UMKC residence halls are set up suite-style, with two rooms to a connected bathroom. Participants will be housed in either the Oak Street or the Johnson Residence Halls. Parking on the UMKC campus is limited. If you will be driving to campus each day, or keeping a car on campus during the workshop, we recommend purchasing a UMKC parking permit. Parking permits are available for $20 and will allow the participant to park in designated UMKC student parking lots. Permits must be purchased by May 31 2019. Meals are not provided during the workshop, since the cafeteria is closed in summer. Participants should plan to bring their own food or money for lunch and dinner each day. Minors wishing to bring a sack lunch and eat in the lobby will be provided a chaperone. We will have a limited number of snacks (chips, granola bars, etc.) on hand too. There are also numerous restaurants within walking distance of the campus. Minors wishing to eat out for lunch will walk to a nearby restaurant together. Minors must stay with the group, as they are not allowed to leave the campus without a chaperone. A list of area restaurants is available here. Vending machines and water fountains are also available in campus buildings. For those staying in dorms, each room contains a mini-fridge should participants need to store food in them. Adult participants of our programs are welcome to eat where they please during mealtimes. Kansas City is home to many wonderful restaurants. All UMKC buildings are equipped with wireless internet. We will provide all participants with a guest username and password which will allow access to unsecured campus internet at no cost. 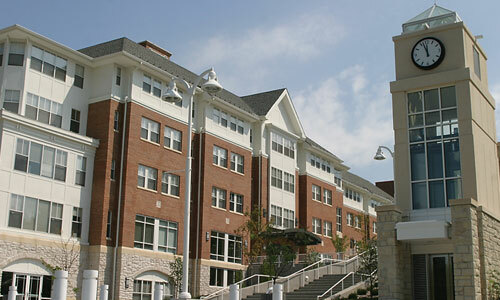 UMKC Residence Halls are equipped with special secure Internet access that requires a unique username and password. This access is optional and can be purchased at a weekly rate of $35. Wifi access must be purchased by May 31, 2019. The nearest airport to UMKC is Kansas City International Airport (MCI). This airport is located approximately 25 miles from UMKC, and there are a number of shuttles and taxi services available to transport travelers to campus for a fee. UMKC does not arrange transportation to or from the airport; we recommend visiting www.flykci.com to plan your trip to campus.